Fueled by sources purportedly familiar with Cupertino's developments, a report by The New York Times indicates Apple's rumored wristwatch-like device will feature curved glass. 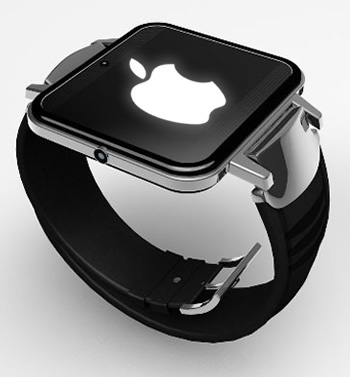 Rumors suggest the "iWatch", as it is being called for now, could enter production as early as this year. Interestingly, Apple was issued a patent in December for a novel process which yields high-quality, curved glass. Could the company be leveraging this technology for their iWatch? Perhaps. Two of the Times' sources also claim that Apple's iWatch will stand apart from the competition based on the company's understanding of how glass can curve around the human body. Could this also mean flexible glass? Although Apple's patent doesn't touch on flexible glass specifically, companies like Corning are able to produce flexible glass composites like Willow Glass -- a watch may be an interesting use for such a material. Smartwatches are hardly new, but an impressive crop of increasingly sophisticated wrist-mounted devices made their way to CES this year. Thus far, manufacturers have managed to stuff social networking features, texting and even calling capabilities into these tiny wrist-hugging devices. Rumors suggest the iWatch will feature a 1.5-inch passive display, Bluetooth 4.0 connectivity and of course the latest addition: curved glass. However, little else is known (or thought to be known) about Apple's possible smartwatch entry. Will it be a directions-giving, Siri-backtalking, app-installing, iOS-based cellular device? Or will the iWatch merely be a wrist-wearable iPod Shuffle? It is simply too early to tell.